When people think of scholarships, they tend to concentrate on those awards that target graduating high school seniors or college undergraduates. But there are a wide range of scholarships aimed at younger students as well. These programs are open to middle school and high school students, between the ages of 13 and 17, who have set their sights on college and are beginning to build their education fund. When it comes to planning for college, it is never too early to begin looking for funding opportunities. These scholarships offer younger students the chance to start building their education fund well before they leave home for college. 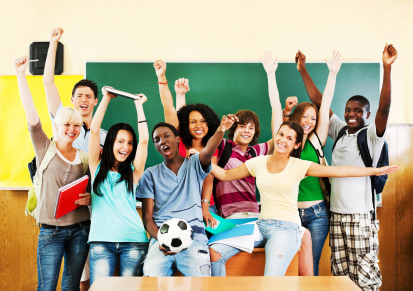 Scholarships for middle school and high school students are generally independently funded, and are designed to reward scholastic ability and /or extracurricular activities. These programs typically take the form of contests, and students are awarded a scholarship according to their performance. These scholarship programs are designed to do more than just provide students with money for college. Their underlying purpose is to instill a love for learning, and to encourage more students to pursue a college education. The following programs are typical of the scholarship opportunities available to middle school and high school students. The Christopher Columbus Awards is a national science, technology, and mathematics program for middle school students. Participants work in teams to identify a problem in their community and, using the scientific method, devise and implement a workable solution. Each member of the winning team receives a $2000 savings bond which can be put toward their college fund. Winners will also receive a grant of $200 to further refine and develop their idea. The Doodle for Google Competition is open to children in grades K – 12. The competition asks children to design a Google Logo based on a predetermined topic. Awards are given in four grade divisions: K – 3, 4 – 6, 7 – 9, and 10 – 12. The four national finalists in each grade group will receive a $5000 scholarship to be used at the college or university of their choice. One national winner will receive a $30,000 scholarship. The Gloria Barron Prize for Young Heroes is open to students aged 8 to 18. Each year the Barron Prize is awarded to 25 students who have made a positive difference to the people in their community and the health of the planet. Award criteria focuses on environmental issues as they relate to people and their communities. Winners receive a $2500 scholarship to be used at the college or university of their choice. Kohl’s Kids Who Care Scholarship Program is open to students aged 6 to 18 who are involved in community service. Awards are given in two age groups, 6 – 12 and 13 – 18. To be eligible for an award, students must be nominated by an adult aged 21 or older. Ten national winners are chosen each year, each receiving a $5000 scholarship. 194 regional winners each year will receive a $1000 scholarship. The National Geographic Geography Bee is an international contest designed to promote the teaching of geography in grade schools around the world. Like a spelling bee, students are quizzed on their knowledge of world geography in a contest setting. The contest is open to 8th graders at participating schools. Grand prize is a $10,000 scholarship. Letters About Literature is a national reading comprehension and essay writing competition sponsored by the Center for the Book in the Library of Congress. The contest is open to students in grades 4 – 12. Contestants must submit an essay, in the form of a letter to a famous author, discussing how the author’s work has changed or impacted the student’s life. Awards are given in three divisions, grades 4 – 6, 7 – 8, and 9 – 12. MATHCOUNTS is a national competition for middle school students in grades 6 – 8. The contest takes the form of a spelling be, with contestants answering increasingly difficult mathematics questions in a competition setting. The national champion will receive an $8000 scholarship to be used at the college of university of their choice. The second place winner receives a $6000 scholarship, and third and fourth place winners will receive a $4000 scholarship each. These are only a few of the many scholarship competitions designed to benefit younger students who have their sights set on a college education. Students, and their parents, who wish to find scholarship opportunities in their age group should speak to their middle school and high school counselors for information on programs and competitions for which they may be eligible. It is never to early to begin planning for college, and scholarships for middle school and high school students offer the opportunity to begin building an education fund well in advance of graduation.